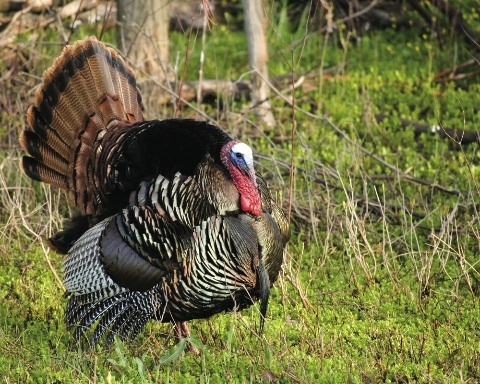 Each year since the state’s first modern spring turkey hunt, the Maine Department of Inland Fisheries and Wildlife has asked all or some of the state’s hunters to complete a survey about their turkey hunting experience. One question asks: “Do you feel other hunters interfered with your ability to successfully harvest a turkey?” Before you can answer that, however, you need to understand what really constitutes interference. Let’s look at a few scenarios. You arrive at your intended location well before daylight and the dirt pull-off is empty — no one else around. You make your way through the woods in the dark and set up where you think the turkeys will come once they leave the roost. In the distance you hear a gobble, and the hunt begins as you start calling. The bird is fired up, gobbling back at every yelp and cluck you make. He’s taking his time, but he’s definitely working toward your calls. He’s getting closer now, and his gobbling is growing more intense. It won’t be long. You prop your gun up on your knee so you won’t have to move once the bird is in sight, which could be any moment. Boom! A shotgun roars from 100 yards distance, then the woods grow silent. While you were calling, another hunter slipped in between you and the tom. He never made a peep, just put himself in the right place and waited for the unwitting bird to walk to him. Did that other hunter interfere with your ability to successfully harvest a turkey? Yes. He also broke several serious ethical rules, and potentially placed you and himself in danger. You’ve been working a bird since daybreak. He gobbled good from the roost, but went silent once he hit the ground, and for the last hour he’s been strutting around several hens in a big field. Gradually, one by one the hens left the field, entering the woods within shotgun range of your position. Now, the tom seems suddenly aware he’s alone, and begins strutting in your direction. Then, just as suddenly he folds his fan, turns and runs to the far end of the field. Several long minutes pass before you see another hunter casually walking down the two-track road that runs along the field edge. Did he intentionally bump that bird? Very likely not, though he should have been more considerate. If he saw your vehicle parked on the road, and especially if he heard you calling, he never should have entered that field. Did that other hunter interfere with your ability to successfully harvest a turkey? Most definitely. You’ve been hunting the same bird for three days. He won’t come to the call because he’s got hens, but by studying the flock’s daily routine you think you’ve finally got him figured out. There will be no calling. All you have to do is slip in to the back corner of the field and be patient. 6:30 or so the whole flock should have made their way down there. It’ll be a chip shot. You’ve had the place to yourself all week so you dally a little getting out the door. Driving along in the dark you visualize the big tom strutting over the hill and straight into your well-planned ambush. You round the corner and your headlights reflect off something shiny. Up ahead, where you’ve parked the last three days, sits a truck. Your heart sinks and you try to give yourself false hope by speculating, “maybe he’s just stopped to use a cell phone.” But as you draw closer the Turkey Federation sticker on the back window gives it away. He’s there to hunt turkeys, your turkeys. As far as we can tell he’s done nothing wrong. 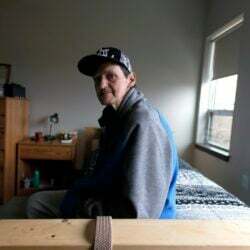 He hasn’t broken any ethical rules, and has displayed no inconsiderate or discourteous behavior to his fellow hunters. He simply got there first. Did that other hunter interfere with your ability to successfully harvest a turkey? Absolutely. As you can see, there are very different types and levels of interference. Not all involve negative encounters. Take scenario No. 3, and say you had to work that day and never even showed up. But the other guy did, and successfully killed the bird you’d been watching. Your ability to successfully harvest that bird has been interfered with, and you never even knew it. Because the question is so subjective, actual results are probably unreliable, and a poor indication of just how much interference occurs every season. However, biologists can still look at how results vary from year to year as an index, to evaluate whether the level of interference is changing or not. Meanwhile, the best we can do is try to minimize interference by being safe and courteous toward our fellow turkey hunters.